Have you ever tried drinking a varm beer? Some of you might say yes!, thinking of a beer that has been in the sun to long. Varm beer is often not a good experience but this is. In the Nordic countries we drink a lot of varm, spicy wine (called glögg). A simple recipe of glögg can be found at the end of this post. It reminds you of glüh-wine but it is so much better. 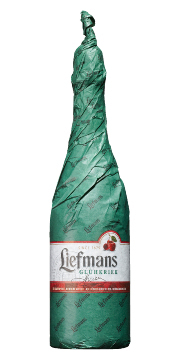 This glögg drinking could be the reason why I like Liefmans Glühkriek. A wonderful fruity and spicy beer that is served varm (70 C). If you have the chance, try it! Liefmans Glühkriek is also very nice served cold. You could also try to drink the spicy beers in South Africa varm on order to reveal some new flavours and aromas. Why not a warm Renosterbos, Hazard Ten, Van Hunks Pumpkin Ale or Darling Christmas edition Slow? It might just be a nice surprise on a cold winter day. Heat up a bottle of red wine. Ad 2 cinnamon sticks, 8 cloves, 12 cardamom seeds and 5 tsp sugar. Let it almost simmer for a couple of minutes until the sugar is resolved. Serve in small mugs with some almonds and raisins. If you want it to be a little stronger you could ad 1.5 dl of Vodka before serving. In Sweden there are hundreds of different recipes of glögg and you do not have to use wine as a base. Use beer instead. ← Homebru.net and Suip! proudly present the Best Beer on the Table 2011 Award.